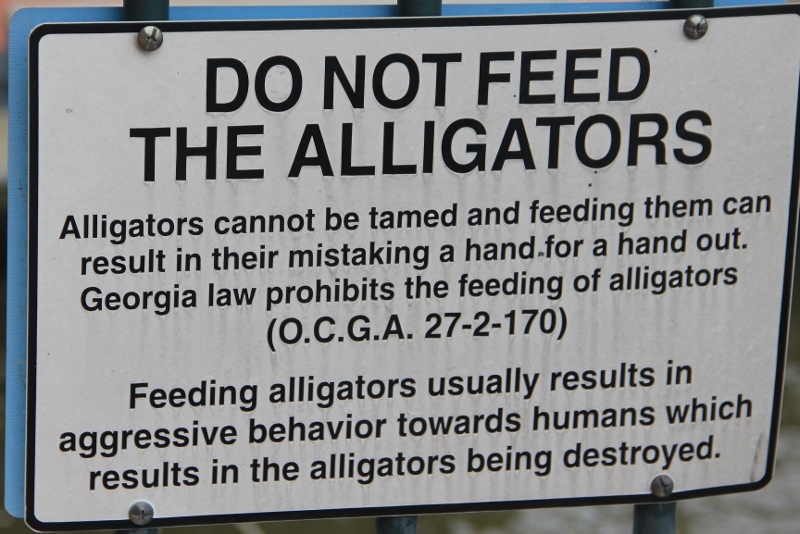 Do NOT Feed the Alligators–Why Need a Sign??? Here, you go to the swamplands and there are signs–watch out for rattlesnakes, no alligators. 🙂 But in Savannah, who would think to feed the alligators??? 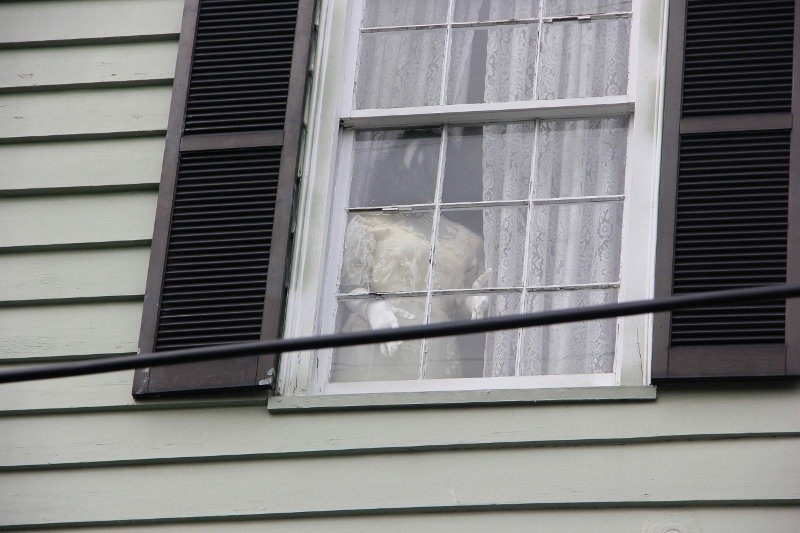 When we were walking through Savannah and taking pictures of the old buildings, one of the ladies pointed up at the “lady in white” watching out the window. How cool to see such a sight and make us feel as though we had really stepped back in time! 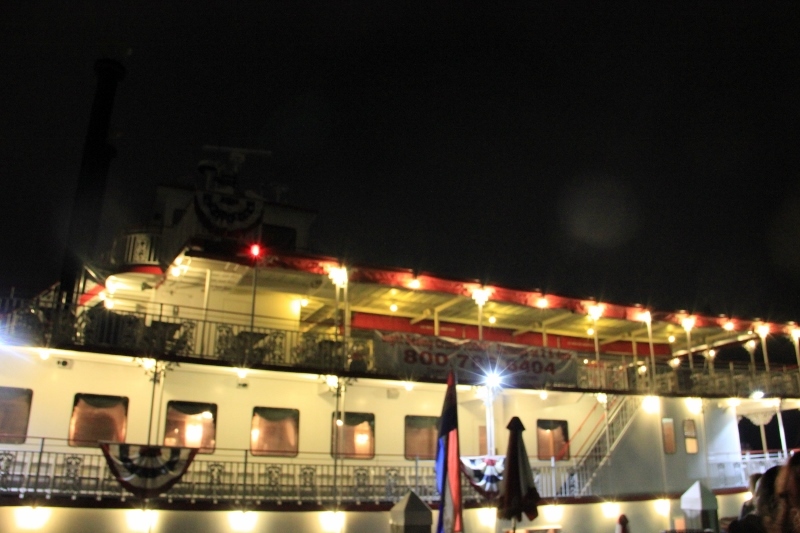 This is the paddle wheeler we took for a night of wild partying. 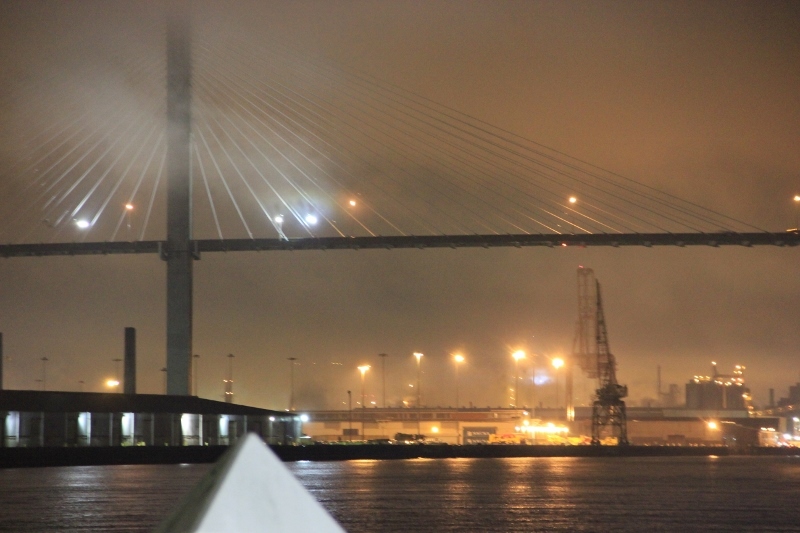 Suspension bridge cloaked in fog that night. Cool, right? 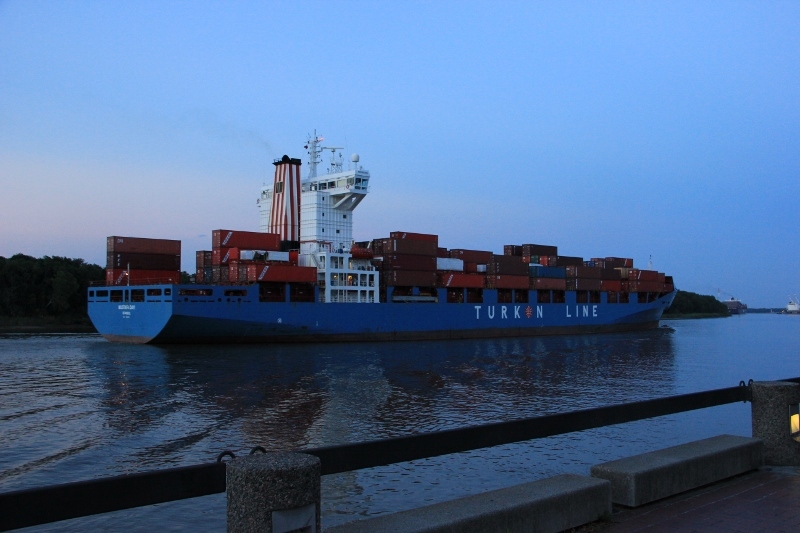 It’s hard to tell from this picture, but these cargo boats are HUGE. Okay, that’s it for today. Have to get back to editing Hero of a Highland Wolf. Have to show him off every chance I get…and then it’s back to writing.